Alex Benady looks at the main parties' general election comms strategies and the race to stay at the forefront of social media. It is generally agreed that the 2015 general election campaign will be like no other before it. The main reason for this is the fragmentation of British politics since the election of 2010. The UK Independence Party on the right and the Green Party and the Scottish National Party on the left are eroding the standing of the major parties. In the 1992 election, the two main parties had 80 per cent of the vote. That share now stands at 60-65 per cent, with very few tending to switch between Labour and the Conservatives. The upshot is a four-, five- or even six-way fight that is far too complicated, and far too finely balanced, to call. Add to that the fact that the incumbent is the first coalition government since 1945 and pundits are predicting the 7 May poll will be the closest result in a generation. The rules limiting campaign budgets are affecting media spends, which means digital and social media will become ever more important. Social was widely used in 2010 – but in an experimental way. The success of US President Barack Obama’s 2012 re-election campaign was attributed in no small part to its use of digital and social to set the agenda, rebut opposition spin and form direct relationships with voters. 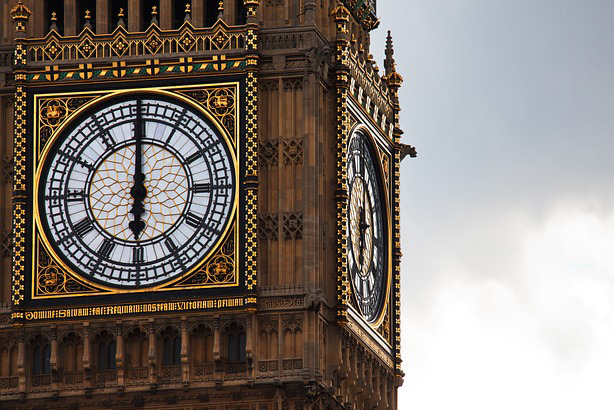 UK political parties have upped their digital game as a result. But analysts say none of the parties has yet really cracked the use of social media when it comes to politics. "There really is no standout party on social media at the moment; all parties could be using social media to communicate and engage in much deeper ways with voters," says Paul Greenwood, senior research and insight director at We Are Social. Digital has the additional attraction – particularly for Labour – of reducing the advantage of greater budgets because it can be used to produce and disseminate material so quickly. The bulk of electoral campaigning has traditionally focused on working the news cycle – putting out a message in the morning, hoping it sets the news agenda and then reinforcing it during the day. Digital allows that cycle to be disrupted and other messages to intrude. But no matter what the media, the heart of an election campaign is still ideas. Whereas in the past elections could have been seen as broad philosophical conflicts, this election seems to be much more about issues than outlooks. So UKIP is fighting on a single issue: Europe. The SNP is fighting on a single issue: independence. The Green Party is also fighting on a single issue, and even the Conservatives are trying to fight on a single issue: the economy. After five years of austerity with more expected, the election campaign should in theory be plain sailing for Labour. Unfortunately, even staunch party loyalists admit the party has a host of problems, making the election campaign difficult to navigate. The economy has picked up; Labour leader Ed Miliband is seen as a disaster; both Miliband and shadow chancellor Ed Balls were on the bridge when the economy ran aground in 2008 and, to make matters worse, the party has at best half the funds available to the Conservatives for this campaign. Confronted with these challenges, Labour is adopting what campaigners call a ‘narrow’ focus. Rejecting the middle-ground approach of New Labour, the party is appealing to more traditional supporters with its vision of ‘One Nation Labour’, language that carefully echoes the phrase ‘One Nation Tory’ used by 19th century Conservative prime minister Benjamin Disraeli. Deprived of the opportunity to talk about the single issue that matters most – economic competence – the Labour campaign will lack the focus of the Tories’. Instead, it will focus on not one issue but five: reducing the deficit; controlling immigration; improving the NHS; better public services, and the future of young people. But the party has two advantages over the Tories. The first is strength on the ground. It boasts a membership of around 190,000 compared with the Tories’ 134,000 and will use that advantage as the basis of its comms. The second is a far more sophisticated digital operation. Labour has taken on Blue State Digital, the company behind both of Obama’s online presidential campaigns. Matthew McGregor, head of its London office, ran Obama’s rapid rebuttal team. Labour’s army of activists can collect data that will, according to Douglas Alexander, allow Labour to fight the campaign "conversation by conversation, doorstep by doorstep, community by community". Digital should enable Labour to land triple blows on the Tories. First, it plays to Labour’s strength among the young; second, digital is cheap compared with other media so it will negate some of the Tories’ financial advantage. Last, it will allow Labour to sidestep the national press, which traditionally favours the Tories. "This battle, rather than the battle of the airwaves, might actually be decisive," says Matt Carter, former general secretary of the Labour Party and now chief executive of comms consultancy Message House. Douglas Alexander MP for Paisley; chair of general election strategy; shadow foreign secretary. Lucy Powell MP for Manchester Central; vice-chair of the Labour campaign. Bob Roberts Director of comms. David Axelrod Former Obama strategist. The Conservative Party probably has the simplest campaign and comms strategy of the main parties. It is hoping for a rerun of the successful 1992 campaign, which saw John Major returned to power as the country emerged from three years of recession. Tory insiders say their strategy was set two years ago and the key message – in fact, the only message, if chief strategist Lynton Crosby has anything to do with it – will be about economic competence: "The medicine is working. The patient is recovering. Let us finish the job." His approach can be best summarised as picking simple themes and going for your core vote. Crosby wants to move away from socially progressive issues such as gay marriage, climate change and foreign aid personally favoured by David Cameron to fight on the more traditional Tory terrain of self-interest: ‘my wallet’. The message of economic competence will be addressed though six related themes: the deficit; jobs; taxes; education; housing, and retirement. The party will be giving a wide berth to issues owned by other parties including Europe, immigration and the NHS. However, the challenges for the Tories will be different from 1992. Despite Electoral Commission recommendations limiting spending before the election, the party has allegedly amassed a war chest of £78m – but will have to keep substantial funds back in case of a hung Parliament and a second election later in the year. But financial muscle counts less in the digital age. The growth of social media means that the Tories’ ability to control the debate will be much reduced. In addition, social media are dominated by younger people who are more likely to vote Labour. So rather than having three or four expensively produced posters like 1979’s ‘Labour Isn’t Working’ or 1992’s ‘Double Whammy’ that frame the political debate, one commentator predicts that the Tory campaign will be about quantity not quality. That is evident in the Tories’ first poster of the campaign, published in January, which was notable for its poor execution. There could be as many as 150 different executions produced quickly, often reactively. "They can no longer determine what people see so they will throw out a lot of ideas and see what sticks," said one. And they will continue to try to dodge a TV debate, simply because they think that the debates in 2010 lost them outright electoral victory when they gave Nick Clegg a platform to impress. George Osborne Chancellor of the Exchequer. Lynton Crosby Head of strategy. Crosby masterminded four consecutive victories for former Australian prime minister John Howard and ran Boris Johnson’s London mayoral campaign. Giles Kenningham Party comms chief; former ITN producer. Jim Messina Former Obama strategist reporting to Crosby. "We are the cockroaches of politics. We always survive," says one Liberal Democrat insider with only the slightest hint of desperation in his voice. Currently trailing both UKIP and the Greens in the polls, they will have their work cut out to achieve even that meagre ambition. 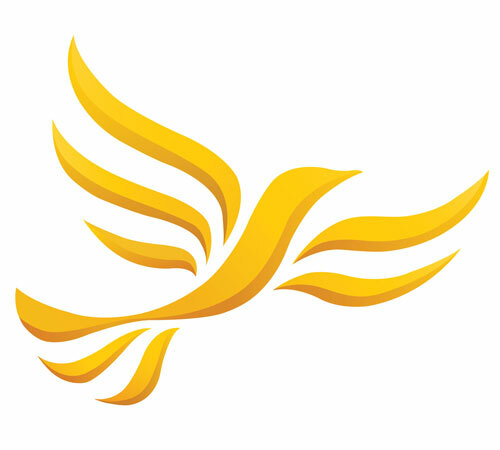 The Lib Dems fought the 2010 election as a left-of-centre, anti-establishment party. But five years in a coalition government – combined with the growth of the Green Party, UKIP and the SNP – means that route is no longer open to them. Instead, they will attempt to position themselves at the centre of the political spectrum in a bid to re-establish their own identity and retain even half their current 57 seats. Their strategy is to present themselves as the ideal complement or counterweight in a collation to whichever of the two main parties forms a government. This is reflected in their current slogan, ‘Stronger Economy and a Fairer Society’, which has the drawback of defining them in terms of what they are not (Labour or Tory), rather than expressing positively what they are. The campaign will try to articulate what the Lib Dems achieved in government, but again this is hampered by the fact that their greatest achievements lay in moderating Tory policies on education, the NHS and the economy. Even the most optimistic of Lib Dems bemoan the fact that it is very hard to campaign on negatives. The Lib Dems are thought to have less than a quarter of the budget of the Tories – so not much in the way of posters and press for them. Instead, they will focus their resources on a ‘strategic seats’ programme. It is a list of between 50 and 80 constituencies where they think they have a chance of winning. Some of these seats will be Labour, some will be Tory, so rather than developing a single nationwide campaign, they are opting for messages tailored to the local political landscape. They are strong on the ground in many constituencies and the Lib Dem high command expects some candidates not to mention leader Nick Clegg or the coalition at all. Like Labour, the Lib Dems will benefit from the capacity for digital comms to disintermediate historically important communication channels (the press). They too have Obama’s Nationbuilder software, which they use to build individual relationships and which integrates with Connect, the party’s contact management system. Paddy Ashdown Campaign chair; former party leader and veteran of at least six general election campaigns. Ryan Coetzee Strategy chief; former South African MP who spent 15 years devising strategy for the Democratic Party there. Tim Gordon Chief executive of operations. Stephen Lotinga Director of comms for Deputy Prime Minister; former head of public affairs at Edelman. 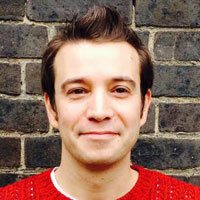 James Holt Deputy comms director. For the Scottish National Party, the general election is the Scottish independence referendum campaign carried on by other means. The SNP has quadrupled its membership in the past four months and some polls are predicting that it could now win as many as 55 of Scotland’s 59 Westminster seats – although more sanguine commentators reckon it would do well to win 15. Either result could quite easily make Angus Robertson, leader of the SNP in Westminster, a kingmaker and deputy prime minister in waiting – which is exactly what the SNP wants. As David Mundell (MP for Dumfriesshire, Clydesdale and Tweeddale) is the only parliamentary Conservative that remains north of the border, the tenor of the political debate in Scotland is very different from the rest of the UK and could be best described as ‘left and lefter’. The SNP talks of a different Scottish political tradition through the prism of issues such as the economy, the NHS, the environment and defence. It taps into a very Scottish version of the nationwide dissatisfaction with the mainstream parties by offering radical policies such as the abolition of Trident, doing away with the House of Lords and even being prepared to overrule English MPs on English NHS issues. Overall, the SNP campaign is in rude good health. Insiders say that it is well funded, with contributions amounting to millions of pounds from EuroMillions lottery winners Chris and Colin Weir and Stagecoach Group boss Sir Brian Souter. Fresh from the Scottish referendum campaign, the party machine is also well oiled and data rich. For instance, former footballer Michael Stewart, who is standing for the SNP in Edinburgh South, is said to have a database of 22,500 Yes voters in his constituency alone. Angus Robertson Campaign director; MP for Moray; leader of the SNP’s six-strong Westminster group. Kevin Pringle Chief of comms; oldest political ally of Alex Salmond. 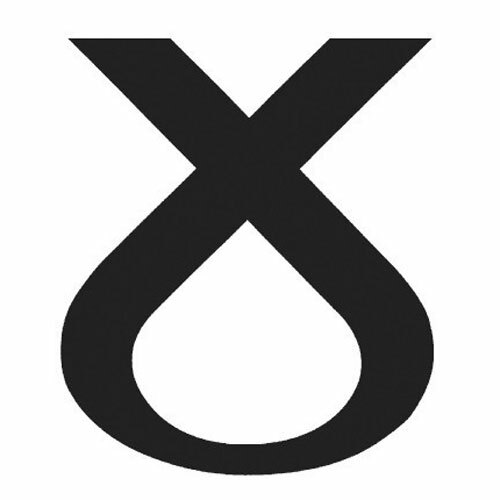 Peter Murrell Party chief executive; heads campaign operations. Stewart Hosie MP for Dundee East; deputy leader. Stephen Noon Chief strategist for Yes Scotland; head of policy. General elections used to be a fairly predictable affair, one way or the other. But this year we are facing new factors we’ve never had to deal with before. We have an all-time low of party membership; the growing popularity of the Green Party, UKIP and the SNP making it a six-party system and, of course, the potential impact and influence of social media. In 2010, many were excited by the potential of social media during an election. As it turned out, it was a bit of a damp squib. The election was still dominated by traditional media – leadership debates and Gordon Brown’s slip on a microphone. More recently, social media played a part in galvanising the vote in the Scottish referendum but came unstuck when they were used to predict the outcome. There really is no standout party on social media just now. Current Twitter conversation volumes would predict a Labour win; Labour is dominant on Twitter, with a consistent tone of voice talking about issues that matter to the public. However, I’d take any social media predictions with a large dollop of caution given the results were dramatically wrong in Scotland. On Facebook, the Tories’ content is more engaging than Labour’s. But then Twitter doesn’t feel like a natural home for them – it’s too informal. UKIP looks to be a strong challenger brand, getting its tone of voice right for its audience. While the SNP has seen huge success across all the metrics we examined, it’s hard to judge because the referendum had such a large impact on its social channels. So it looks like a one-all draw between the Tories and Labour for the larger parties and similar between UKIP and the Greens for the challenger parties. The Lib Dems appear to be out of the race and the SNP an unknown. So much like the election in general, party social media strategies are an unpredictable affair and make it difficult to pick a winner with any certainty. Social battleground: who is scoring where? As in any social situation, it turns out that different groups hang out in different places. According to PRWeek’s analysis in conjunction with We Are Social, the Conservatives are favouring Facebook in their campaign while Labour is more adept at using Twitter. We looked at all social media activity of the main parties over the past six months and found the Tories had 320,766 Facebook friends at the end of December 2014, while Labour had only 202,538. The Tory figure was up 29 per cent in six months, compared with Labour’s more humble increase of 12 per cent. The Tories averaged 1.4 Facebook posts per day compared with Labour’s 1.46. But Tory posts drew a better response with 3,718 likes, comments and shares, compared with Labour’s 3,438. On Twitter, however, the picture was reversed. 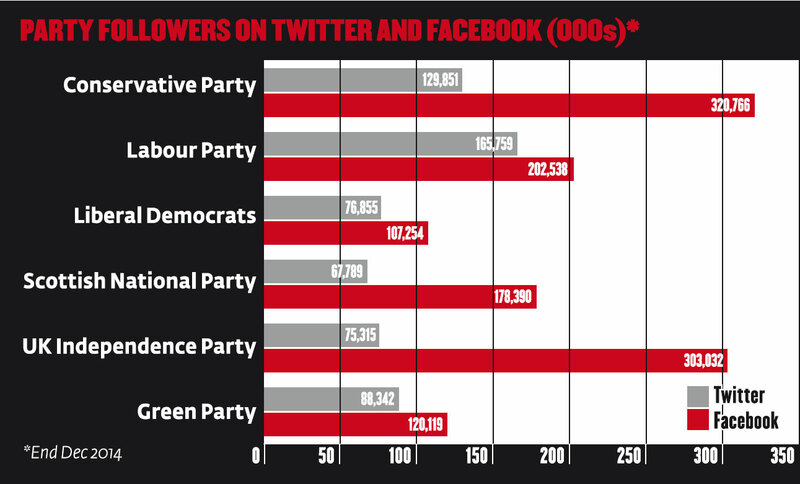 Labour had 165,759 Twitter followers compared with the Tories’ 129,851. The study also found Labour has a more active posting strategy with eight tweets a day over the period compared with the Tories’ 1.68. The study identified UKIP as the most talked-about party on Twitter over the past three months. The party had a 30 per cent share of conversation, followed by 29 per cent for Labour, 25 per cent for the Tories and 11 per cent for the Scottish National Party. The Green Party and the Liberal Democrats brought up the rear. However, when it comes to the party leaders’ share of voice on social, the Conservatives are out in front. Prime Minister David Cameron leads with a 32 per cent share of voice, followed by UKIP’s Nigel Farage with 25 per cent. Labour’s Ed Miliband is third with 20 per cent, followed by the SNP’s Nicola Sturgeon with 12 per cent, the Lib Dems’ Nick Clegg with eight per cent and Natalie Bennett of the Green Party with three per cent.